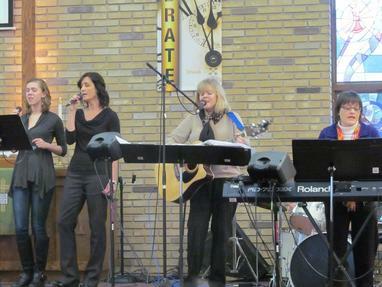 At 8:15 am we have a contemporary worship service led by our Joyful Praise singers and band. If you like guitars, drums and keyboard playing a mix of current praise songs and familiar choruses, this is the service for you. More traditional hymns mixed with some choruses, accompanied by organ and piano, lead our late service at 10:30 am (Time changes to 9:45 after Memorial Day weekend). Copies of the sermon text are available if you missed worship and would like to read it, or perhaps you were here but want to share it with someone. Sermons are usually posted by the end of the day on the following Tuesday. Click on the link below. January 20, 2019: Unafraid: Friendless and Alone?